I have just about scraped the bottom of the gallery barrel, with just two artist worth mentioning. With only a week remaining of my sojourn here in Paris, I feel that I deserve to get to do “nothing”, that is, finish the work in the studio, and just walk around aimlessly for a few days. Without my planning it this way, these two artists both represent fields in the art world that I (personally) have problems relating too. At the Almine Rech gallery I saw Gavin Turk’s exhibition called “en face”. 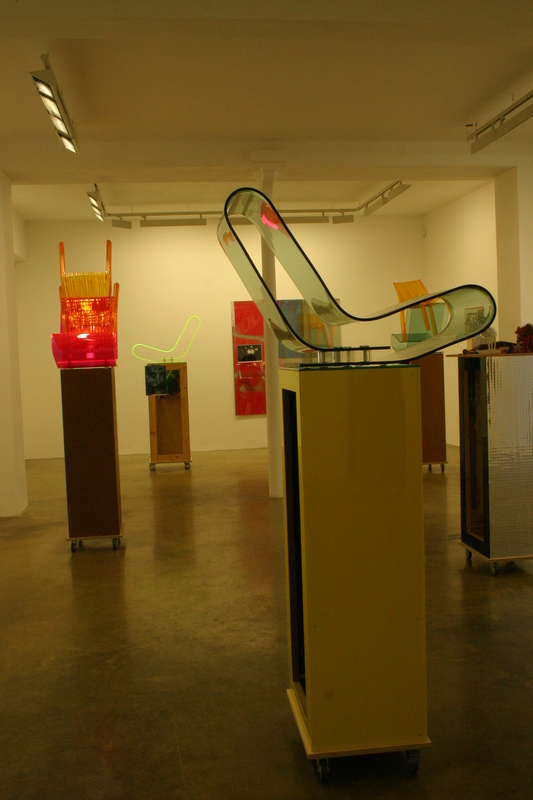 Turk is one of the British Artists of the 1990’s phenomena: “a wake of media interest provoked by an ambitious generation of artists with a flair for self-promotion”. (eg Damien Hirst and his shark preserved in formaldehyde) His work deals with the cult of personality (his own) and the construction of artistic myth. As usual, Marcel Duchamp is quoted as being the leading inspiration for this kind of work. 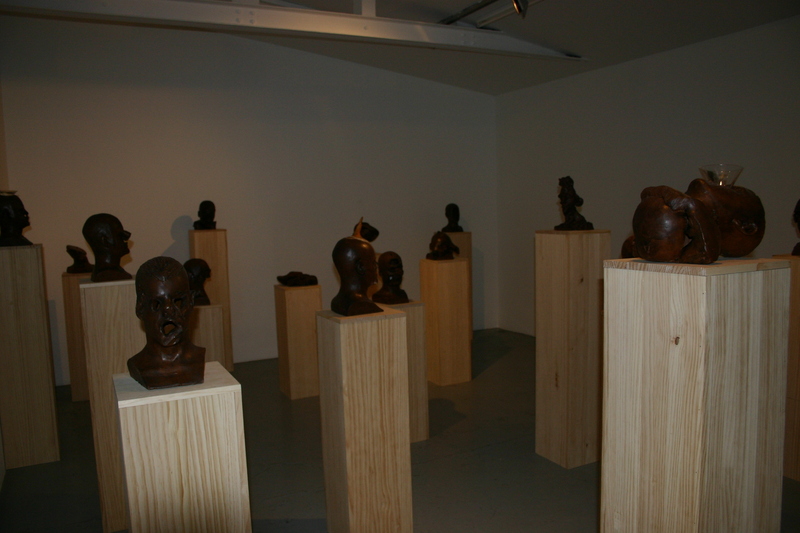 The series “en face” exists of 72 clay busts of the artist himself. During an interactive performance, 72 members of the public were asked to transform the busts in a sort of “exquisite corps” game. See photograph. I cannot help but wonder how art history is going to see this stage in British Art say 100 years from now. Google the British Turner Prize winners and make up your own mind. 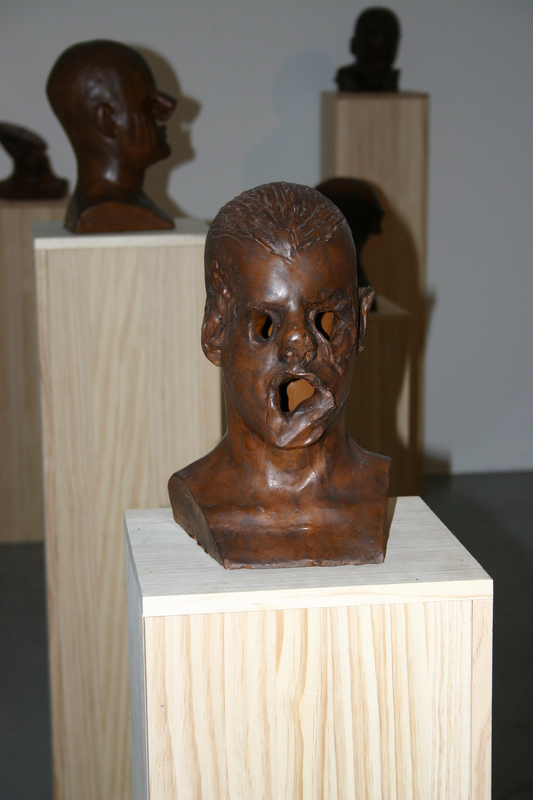 At the Chantal Crousel gallery I saw the work of German artist Isa Genzen called “Mona Iza”. She has introduced portraits of herself next to those of da Vinci, Carravagio, Durer. 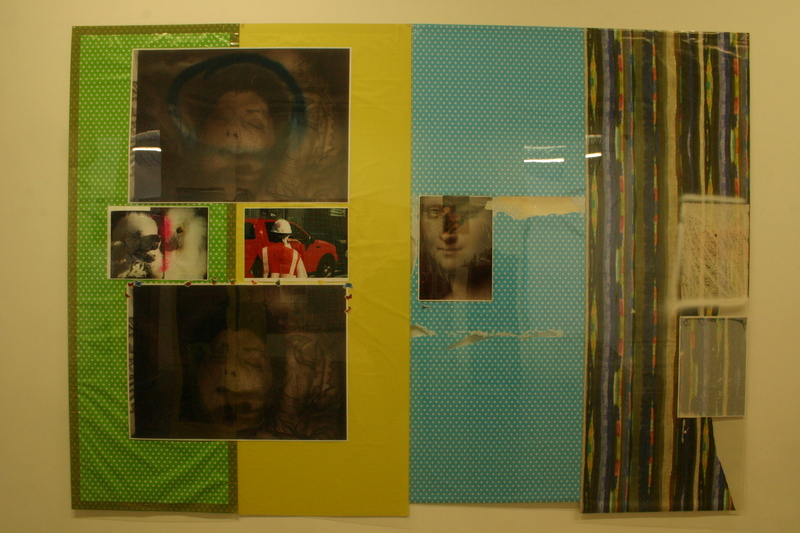 She used a variety of materials, media and technologies to make both sculptures and collage-paintings. I found it very difficult to “read” her work, but maybe my dislike for cheap industrial material has something to do with this. Lastly I came across a lovely quote by another VERY irreverent, but very funny and thoughtful Belgian artist, Wim Delvoye (his work will be on show at the Maison Rouge next year) :”In Flemish, when people say “Its not art” that means it is not difficult to do”….. i rest my case.